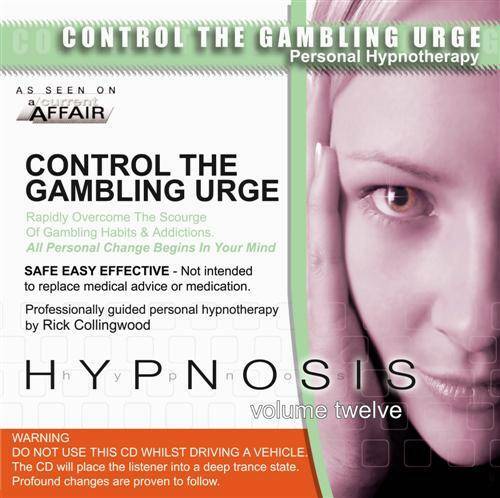 Hypnosis to overcome gambling addiction safely, sensibly & with the mental control to never go back to old ways! This program will help you easily and automatically find better things to do then gamble away all your money. It will allow you to overcome the addiction and to simply walk past that Casino, or Poker Machine, Sports Betting or other gambling institution without even having to think twice. Self hypnosis is a powerful tool to beat gambling addiction because it treats the problem directly from where it resides - in the subconscious mind. Any addiction, whether it is drug related or based on compulsion, is brought about by patterns or habits formed in the subconscious mind. When you begin gambling it usually starts out as a something fun and exciting. Then you may have a win and experience the thrill. More often then not that is when the experience begins to turn into a pattern. As soon as that pattern begins automatic for you and you are left with no alternative, then it becomes an addiction. This self hypnosis recording is designed to help you unravel this process step by step and return to a time before the pattern. It will help you release the past and to move forward positive and empowered. Remember the time in your life when you were not addicted to gambling. It is possible to throw away the habit and relive these times once again. The last 15 years of my life have been like, to put it bluntly, ‘living in hell’…caught in a trap & not knowing the way out, unhappy, depressed, physically ill & all that goes with it. No one knows…I’ve kept it a secret for all these years from my friends & family…I’ve sought help from a hypnotherapist, counsellors, read everything I could on the internet, and phoned the relevant advertised organisations for help…NONE worked for me…as the years went by though I never gave up hope that someone out there in this confusing world would be able to help me before it was too late. I stepped into a tiny ‘Well being’ shop recently in my search for help, looking to make an appointment to see a hypnotherapist thinking I’ll try another one…something has to work…I was desperate…Alas…The hypnotherapist wasn’t there, nor the receptionist! Defeat…so I glanced > around the shop on my way out & out of the corner of my eye I caught a glimpse of your CD…‘Controlling the Gambling Urge’…I bought it, (”for a friend”), I made a coffee, put on the CD, listened to the first track & started to cry. For the first time in those ghastly, horrid, hellish 15 years I had finally found the answers, I couldn’t believe my ears…understanding, solutions…everything I needed…I’m still crying now…no-one knows what it’s been like…& no-one would understand if I told the story of my life & how trapped I was. I can only say ‘Thank you’ but for you to understand ‘how much ‘I ‘ Thank you’ I would have to type it a million times. I am following your instructions, I have set my goals, I have made my realistic plans, & I will never go back. Quick example of how I know that, I used to love to party, smoke, drink, eat & life was good. Each night I would sit down after dinner & have a few drinks, which led to a few more each night…never during the day…I lost my drivers licence through drink driving. Then I took a course with a business coach…ouch…if I drink at night & he arrives at 9am he will be able to tell that I’d had a few the night before…I could be embarrassed, so best I don’t drink alcohol any more…that was it…8 years have passed by…I’ve never wanted another alcoholic drink once I’d made that decision.